Can't recall if this fix has been posted yet. Smear a small bit of silicone grease on the o-ring and reinstall the speedo cable end to the engine case. Don't overtighten. End of problem......for a while. The o-ring will not stand up to multiple R&Rs of the speedo cable. But, if you leave the cable alone, it will last for quite some time. 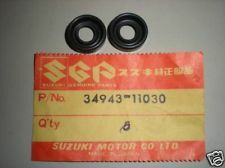 LouSiana searched through lots of other 'zuki cable sets and discovered the correct stock OEM Suzuki ring lip seal hiding under part number 34943-11030 for $2.74 plus shipping. This ring lip seal has eluded us for years but it is now finally found and identified. After an aborted attempt at giving the OEM oil seal another try (it started leaking after only 400 miles of use - see here), I decided to get more serious about the o-ring option. Some local searching turned up a bearing and industrial supply house (Whisler Industrial Supply) that carried a good selection of o-rings. UPDATE: Such beasts do exist! See here. Old thread, but Amazon has these o-rings in Viton rubber - should be a little more durable than nitrile. Got a 10 pack for $5 and change, makes them roughly 50 cents apiece. I replaced my home made flat rubber washer with the OEM on my recent trip (my seal didn't leak) and the OEM one crapped on me! To make matters worse, I didn't take my home made one with me... so I bought a flat 1/4 " rubber faucet washer from an ACE hardware store. It seemed to work for about the first 100 miles (at 70-75mph constant speed on the super slab), then started to slowly leak.... the connector came loose, I retightened it but it has slowly leaked above 70mph (higher rpm's I would think), at about 55-60mph it didn't leak. I bought a 3/8's brass end cap for a pipe, it fits thread wise, but needs a rubber washer inside the top. I didn't use it, but it was nice to know it fit and could have been used. I'll put up the info in the next post, still sorting through all the vacation pictures. On a side note.... versy mentioned a rubber seal inside the casing that might be leaking allowing all that oil to easily wick up the cable. I'd take it out and see if you can easily replace the o-ring. I had a mysterious leak on my bike....and if you can't keep the oil from the speedometer drive you may have the same problem I was having. Sometimes I would get a spray of oil on the right side that would leave a bit of oil on the top right side of the engine case, and a fine spray of oil on the right side of the fuel tank. It didn't happen all the time....it was sporadic and it took a while to identify what was happening. One day I had the bike all cleaned up to go to a show and on a group ride....the bike was spotless. 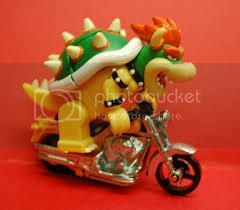 When I got on the highway I went full throttle through 4th gear, and suddenly the oil was on the tank. I went back home and was able to find what was happening. 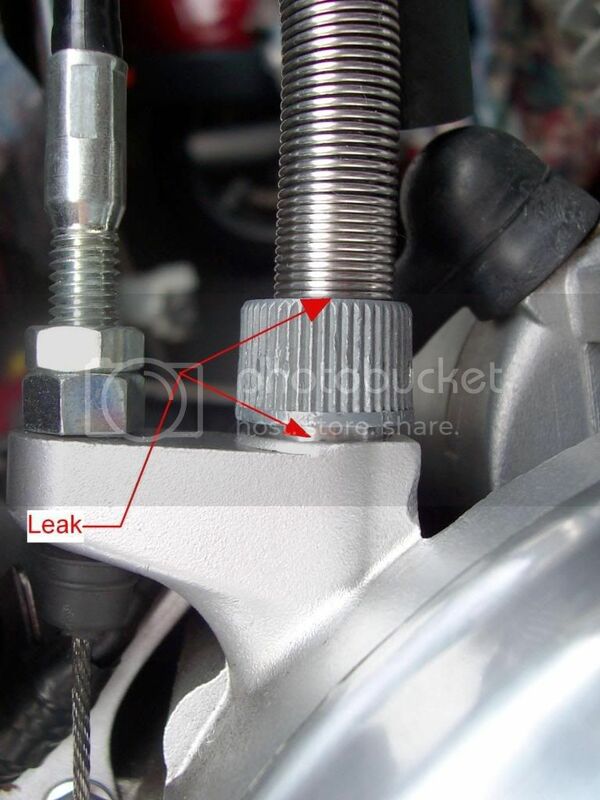 When I got at high rpm/full throttle the O-ring on the speedometer drive was leaking and allowing crankcase vapor/oil to come out of the seam between the case and aluminum shaft that the speedometer cable connects to. The wind would then pick up the spray and carry it forward, up the front of my leg and onto the top of the tank....weird. I only had about 15 minutes to fix it so I cut a piece of rubber tubing and slid it over the shaft and under the nut....a sort of sleeve that seals between the speedometer cable nut and the top of the engine case. The proper cure would be to replace the O-ring - but the metal plate that fits behind the starter has to come off to remove the small screw that holds the speedometer drive in place....and I just didn't have time. Also I believe there is a thrust washer on the speedometer drive shaft that is not shown in the diagram (I could be wrong - but I thought I remember a washer on the top or bottom of the spiral gear on the shaft), that needs to be kept track of...you don't want it falling into the case. Ok, if I remove the screw at the starter plate and pull up on the threaded base... will anything iniside "drop"? I'll have to look at a diagram myself I guess, so I can picture what is spinning in there. The diagram you linked Dave show a "change shaft O" at #42 and a washer on the screw. If I pull up on the shaft that the screw is holding (looks like it is just to keep it from spinning) will it misalign the lower shaft? I'll ride it today and see if the oil is coming out of the screw area or from around the base of the mount or "sleeve" #43. My leak was "weeping" or "wicking" up the speedo cable and coming out at the top of the speedo cable sleeve and running down the cable and the wind would spray it every where. I am going to pull my tank and check the breather hose at the top of the engine.. ... I am thinking like most that my compression pressure (piston down stroke) is not being released to atmosphere (air box) and it is forcing oil out the least path of resistance, which turns out to be a less than adequate cable seal area. 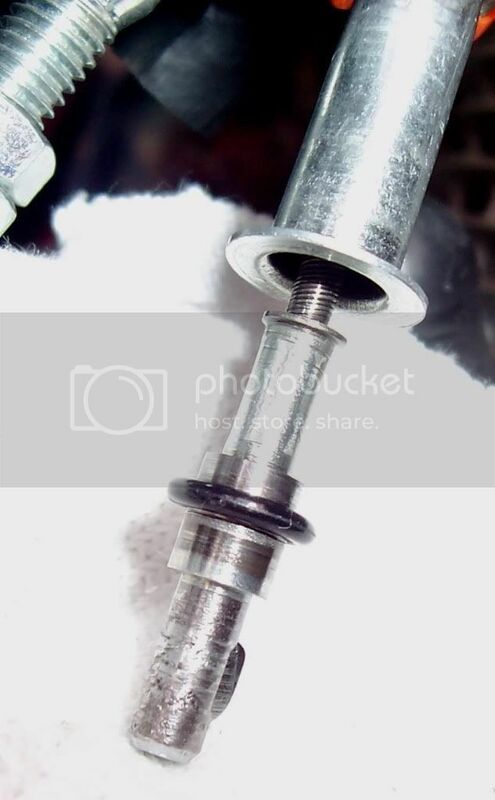 If the oil is making it up the speedometer shaft, it is not the O-ring farther down causing the problem.